Revitalizing the southern edge of downtown in the International District, the 505 Union Station complex is centered on the renovated historic Union Station structure. Working closely with the project architects, the site plan for this development, oriented building entries off a central spine and allows for multi-modal connections. The flagship building, 505 Union Station, is the Vulcan Northwest headquarters. 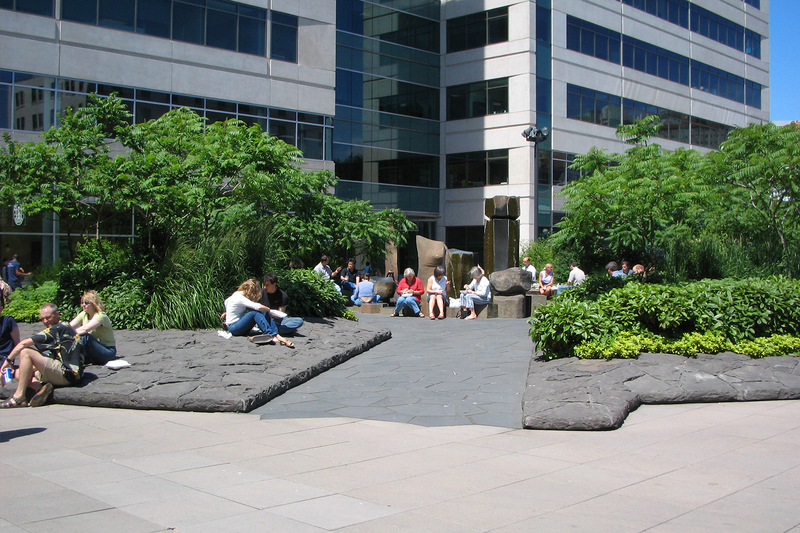 A major entry plaza off of the Weller Street right-of-way and a series of courtyards intersect with pedestrian and view corridors. This immensely popular plaza is a gathering place for commuters, sports enthusiasts, and nearby workers. 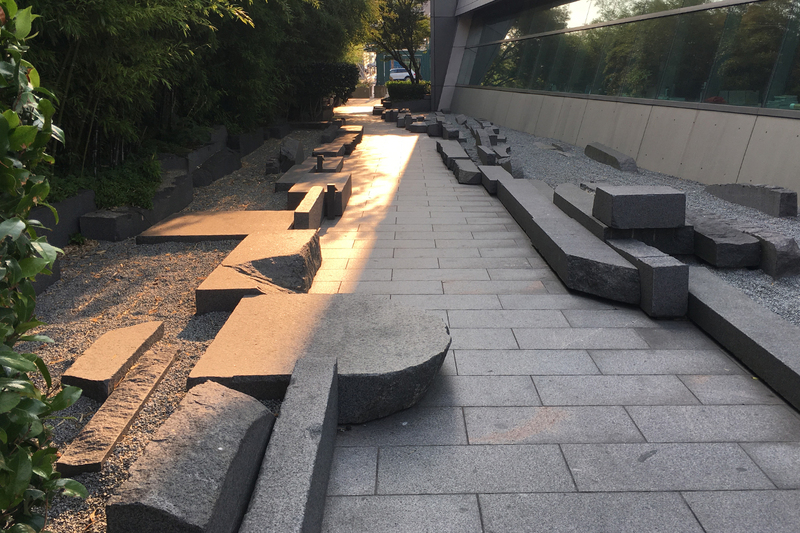 Low stone walls direct the active pedestrian traffic and provide seating opportunities. 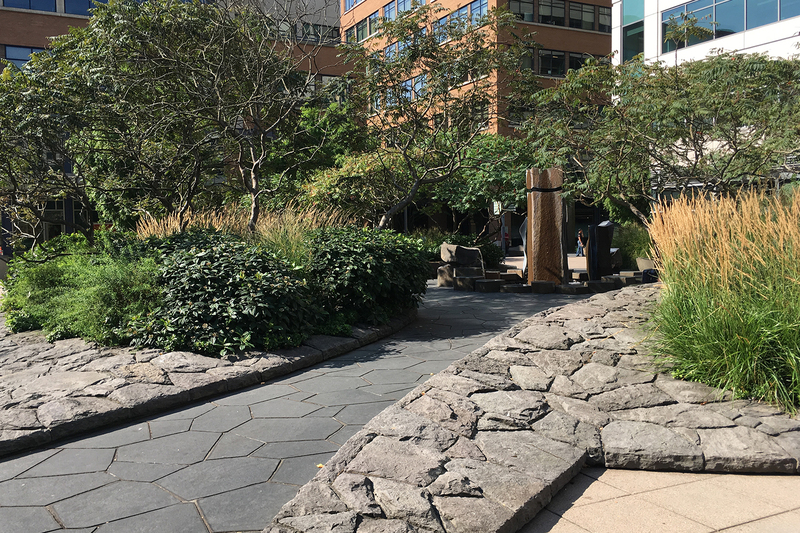 The north garden, in keeping with the owner’s request for a contemplative space, is a courtyard that features raked gravel fields and granite slabs.